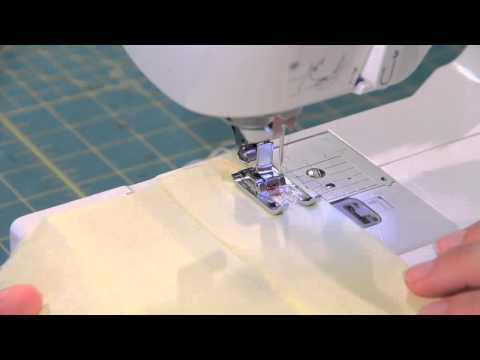 We show you have to easily add double fold binding tape to any project with the Adjustable Tape Stitching Foot. This foot will save you time and produce perfect results every time! I need an hemstitch adapter for my singer sewing machine. I have seen it in internet, but haven’t been able to get it here in Puerto Rico. I’m interested in using this to prepare baby blankets to crochet edging. Thank you. Hello Eva. What is the model number of your Singer? Where can I find presser feet for my SInger 191D-20C sewing machine? Hi Chris! We sell many Singer feet. Do you know the shank type of your machine? Of not, would you mind measuring from the bottom of the presser foot to the shank screw? could you tell me which one I need? This is wonderful you really help me out with my foots and learning how to use them keep the video coming they are very helpful. How can I identify specialty feet that will fit a Necchi BU Nova ? Are there more feet for a Singer Pro4D overlock machine than a rolled hem foot and a blind hem foot? I would spend less time ripping out imperfections and enjoy sewing more if I had a few more options Thank you in advance for your expertise. Hi Suze! Thanks for checking us out! I hope those are helpful! Is there anything else I can help you find or any questions I can answer for you? Can you please advise me if there is an adjustable bias binding foot for a Husqvarna, Emerald 116? Also if there is an open toe, free motion quilting foot? I hope you have a great time sewing with these! The link you gave for the emerald 116 says *not for Emerald modes in the Group 5 description. Is there one for emerald 116? Hi Dave! According to Husqvarna-Viking, it actually does work with the Emerald 116. Our notation on the page is incorrect. I’m so sorry for the confusion! Sarah: Thank you very much for your reply I will be ordering the parts you recommended, and it sounds like I will have the benefit of ordering more feet and having more versitility with my Bernina. Love this machine anyway, having more feet will make it even more fun. This foot is compatible with your machine. It’s the same one I use in the video. To use the tape stitching foot with your machine you need the low shank adapter because Bernina doesn’t make a tape stitching foot. 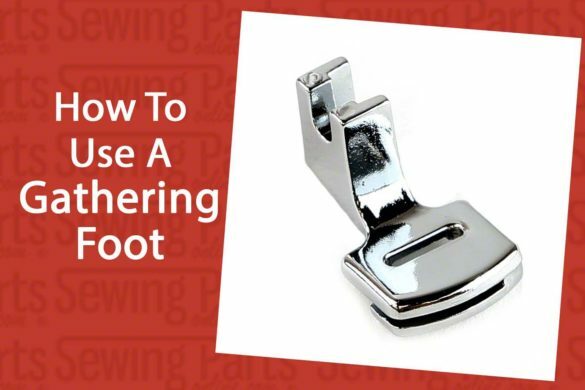 The benefit of buying the adapter is you can use any low shank foot – which is cheaper than buying Bernina feet and there are tons available. Can this tape stitching foot be use on my Viking 325? If so, how can I order it or can I get the name and part #? Love this site and all the tutorials. I’d never seen this tool and I must have it! I have a baby lock crafters choice, model BLCC2 which is best for me? As to the camera angle – we have an awesome cinematographer. He makes sure the shots are perfect! I love these videos .. I just got myself a new singer.. My old one was over 30 years old.. I am so excited ..looking forward to sewing up a storm..
That is a great little tolo. I to make quilts and that would be a god send. I have an old singer model 9010 that uses a slant shank Do you have a foot for that? If you do I will also need the ankle that attaches the foot to the machine. I also have a Singer industrial machine and it would be great if you had a foot for that machine also Keep up the info I love it. What is the model number of your industrial machine? I can see if we have a foot that fits it. I believe we do, let me double check and I’ll get all the links to you. Hi Karen – I found all the parts you requested! 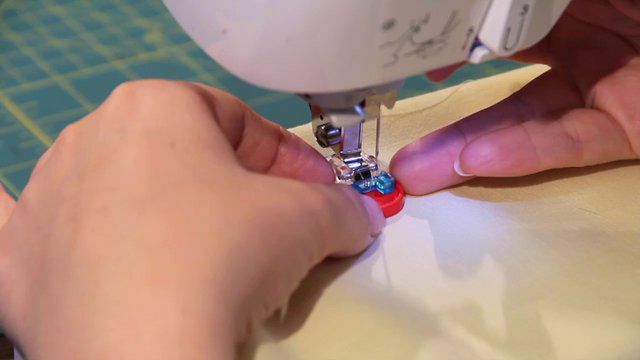 You guys are going to be sewing up a storm together! Do you all sell a tape foot compatible with the Brother CS-770? Thank you for the demonstration. Most places just advertise what they sell. When it comes to sewing, I like to make sure I’m utilizing my machine part correctly. I will be purchasing the binding foot and I’m confident I will be using it correctly, thanks to your demonstration. You are very welcome and thank you for watching! 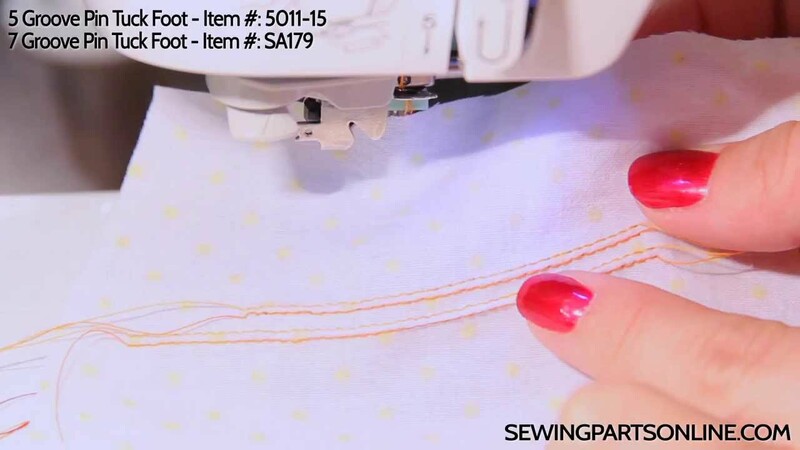 Isn’t it amazing how many tools are out there to make sewing a tad bit easier? I hope you enjoy your new foot! What about mitered corners. Your corner looked rounded, rather than a nice mitered corner, which I prefer. Other than than, I think like it! Looks like it really would make things for faster. This is really cool. Thank you for sending these product videos to my email. I travel alot so this is the best way for me to keep informed of what is available. I don’t get to spend much time in the stores. The tecnical terminology you used in the video brought a much need smile to me (plastic jaw thingy). I don’t have a shank machine, but rather a Bernina. Actually, I have two Berninas, an 1130 and an Artista 180. I use a LOT of binding and this foot would come in handy for me if there was one that fit my machines. I have to double check on the Artista 180. With that adapter you can use any screw-on low shank presser foot. The low-shank presser feet are also MUCH less expensive than genuine Bernina feet. Ah, thank you! Yes, I know your feet are less expensive than Bernina originals. I count on that…. And thanks for the addition of the link to the tape foot. 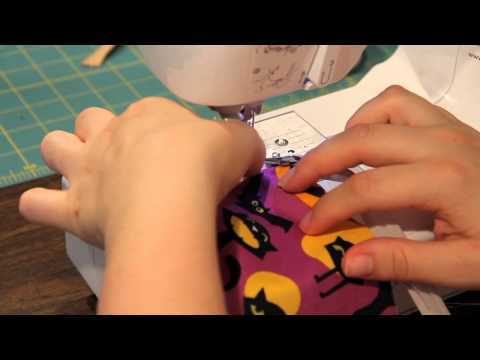 I do a lot of sewing on seam binding. 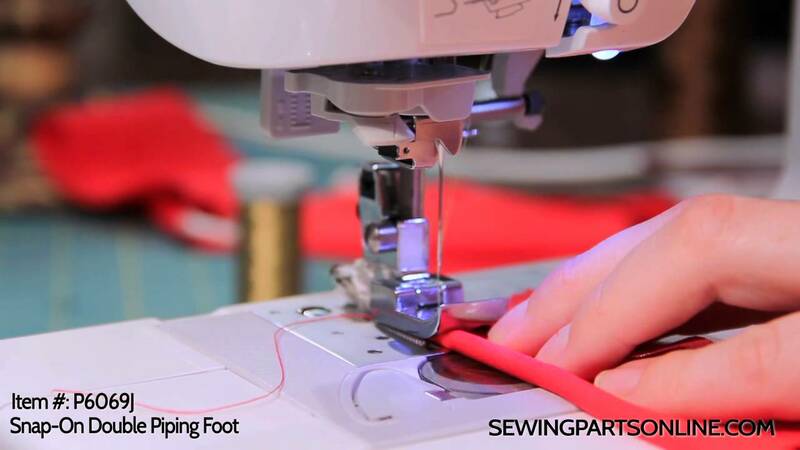 Can you please let me know if you also have tape stitching foot for high shank sewing machine. Thank you. Please let me know if I can help you find anything else!